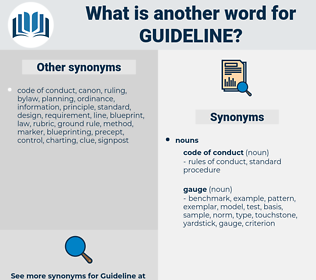 What is another word for guideline? Curricula, highlights, buoys, prompts, indication, pattern. guidances, guides, guide, Criteria, Orientations, guidance. 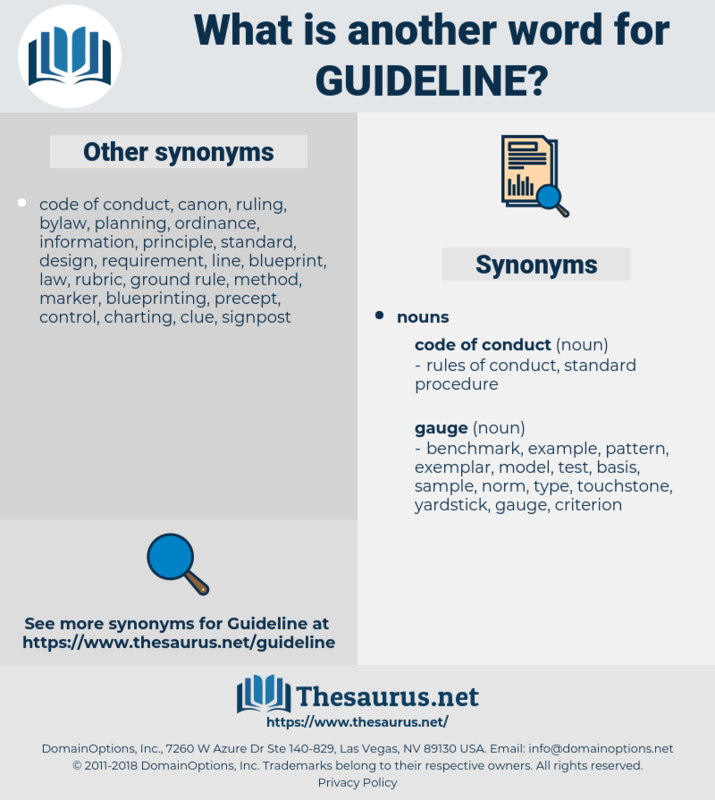 guide, principles, criterion, Criteria, norm, guidance.